The housing application for newly admitted students will be available by May 1. All housing applications are reviewed after the priority submission deadline of June 1. Your Housing Application allows you to indicate certain lifestyle characteristics you may want Residence Life to consider when making your housing placement. Housing placements are made based on a variety of factors, including your indicated preferences. To make the best possible match for you based on your preferences, please fill out your Housing Application by June 1, available through myPugetSound by May 1. 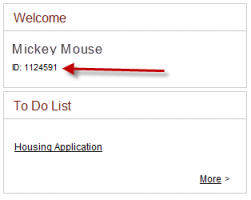 Your Housing Application link will appear on your account once your $500 tuition deposit has been processed. All applications submitted before June 1 will be given equal consideration. Residence Life believes sharing a living space with another student is an important part of the college experience, and essential to the Puget Sound experience. All incoming students should expect to be placed in a double, triple, or quad room. Single rooms are not available to incoming students without approval from Student Accessibility and Accommodations for medical or psychological need. There are very limited number of single rooms available for those approved for a housing adjustment. Documentation is required. For more information, contact saa@pugetsound.edu or visit their website. Session: Select "Full Academic Session." This should be auto populated. Campus: Select "Main Campus" from the pull-down menu. You must select a campus to be able to view the available halls. Room Request: Select a hall from the pull-down menu. Note that these are preferences and no guarentee can be made for specific hall assignments. The halls designated for first-year students are Anderson/Langdon, Harrington, Regester, Schiff, Seward, and Todd/Phibbs. Roommate Request: Fill in the ID of the person you are requesting to be matched with. Leave blank if not requesting a roommate. Meal Plan Selection: Select your size of meal plan. Review meal plan choices on the Dining and Conference Services website. Application Questions: Choose one of the available options for each of the lifestyle questions. Be honest in your self-assessment. Note you may only preference one of the themed living options: Adventure Education, Healthy Options, Substance Free, or Single Gender Floor (women only). If you are not interested in any of these options select "I am not interested in a theme." Additional Concerns: You will be asked if you have any additional concerns you would like Residence Life to be aware of when making your roommate(s) pairing and/or housing assignment. Residence Life will review these and contact you if we have any additional questions. Click "Save" to submit your application. Your application will refresh hourly, and once the portal has refreshed you will not be able to resubmit your application. You can only fill out your Housing Application once, so be sure you are ready to submit before hitting "Save." You will not be able to review your submissions once your application has been submitted. HELP! I clicked "save" and didn't realize my application would be sent in. If this has happened to you, or would like to change one of your responses to your application, please contact us to request a change be made to your submissions. These requests must be made by June 1. If you have any questions about filling out your Housing Application, please contact our office, or call 253.879.3317. Both parties must request one another as roommates to be roomed together. Are you interested in living in a community of peers who share a common interest in outdoor activities or appreciation? Students selected to live in the Adventure Education themed Schiff Hall possess the desire to enjoy and learn from outdoor experiences. Prior experience with outdoor activities is not required. If you are interested in living in this community focused on the outdoors, please indicate you are interested on the housing application. Puget Sound has several academic themed residential programs, some of which start your first year. When selecting your first-year seminar course, you may notice “RS” at the end of the course title. RS stands for Residential Seminar. Residential seminars are seminars whose students live together on the same floor of a residence hall. Some seminars will only be residential and others will have one section that is residential. In addition to Residential Seminars, the Business Leadership Program (BLP) and Honors program house students together in one community with roommates from the BLP or Honors program. If you are interested in living on the BLP or the Honors floor in Regester Hall, please indicate your interest on the housing application. Please indicate on your housing application if you have a specific medical accommodation request or concern, such as a mobility need, psychological condition that impacts your housing assignment, or request for accommodation of a medical support animal. Residence Life will follow up individually with students regarding the specifics of their needs.